Two years ago we looked at the materials and natural resources Clough Construction and our clients were consuming on a monthly basis and decided it was time to take a stand on sustainability. Our Passion is to leverage the impact of the dollar to positively influence our clients, manufactures and distributors. We have chosen to purchase from conscious companies that: - Are committed to continuous positive movement in sustainability. - Have chosen Made in America products to become their core business model. - Share their finds with their industry and engage in collaboration rather than competition. A movement that we're proud to see growing. Please join us by calling us at 415-444-5554 to find out how: - We hired Sustainable Business Consultant Linda Delair and became a Certified Green Business. - Won Feb. 2012 Sustainable Business from honorable Assemblyman Jared Huffman. - Are Creating an Alliance in the Construction Industry. - Install FSC Sustainably Harvested Wood whenever possible. - Buy and Install Local and American products. - Encourage people to grow through education and positive commitments. - Service our community with enthusiasm and gratitude. Visit us today at our Sustainable Deck and Fence Showroom so we can include you in our vision of a sustainable world based on respect and restoration of beautiful planet. We would like to personally invite each of you, from clients to industry members to participate in this meaningful change. SG Construction is a full service professional construction company built on the foundation of supreme quality and customer service. Our service covers the entire San Francisco bay area. We are a family owned and operated business determined to serve our customers with the highest level of professionalism. With years of experience, we are eager to help you complete your next outdoor project. We specialize in various outdoor projects including fence replacement, deck installation, automatic gates, carpentry repairs, sheds, retaining walls and other services. If you need a structure built professionally by a trustworthy company, SG Construction is here for you. While we pride ourselves in our craftsmanship, we also uphold the highest values of ethics, morals, laws and customer service. Every member of our team is skilled and dependable with an outstanding character and approachability. A sole proprietorship, R-Y-E's FENCING was founded in 2012 by Monrye Young, Owner and Operator. 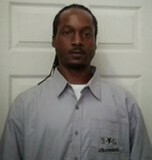 He was taken in as an employee by a small gate company back in 2004. What felt like "below entry-level" work, began to develop into a portfolio of industry skills. From digging trenches and mixing cement, to fixing welds and programing equipment, Mr. Young soon found himself supervising projects and employees. After things didn't quite work out for him at the gate company, in 2007, he decided to "go with his gut". With CCTV training courses from PELCO (Fresno,Ca. ), Welding classes at The Crucible (Oakland,Ca. ), and numerous seminars at Encon Electronics (Hayward,Ca. ), He got: R-Y-E's FENCING. High quality residential and commercial automatic sliding or swing gates combined with custom metal fabrication you can depend on. Additionally, we optimize your gate design with dependable steel frames. Our mission at Automatic Gate Operations is to provide our customers with high quality automatic gate systems at more affordable prices. The way we intend to do this is by minimizing markup prices on products provided, and maintaining a lower overhead cost (which is always passed on to the customer). We will always beat the price of the larger companies, while maintaining a quality standard at, or beyond theirs. Our metal fabrication paired with your vision of the perfect automatic swing or slide gate can provide elegance or simplicity to your home or business. Call or email us today to schedule an appointment. 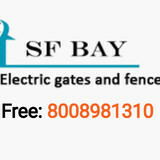 SF Bay Automatic Gates & fences is here to help with building driveway gate enclosures that can help to attain this security. We focused on giving an excellent repairs and installations services for iron gates,Wooden gates, electric gates, and automatic gates, re-aligning the gate and repair existing gate openers. The Driveway Gates are constantly exposed to the weather, and to the wear-and-tear of daily usage, they do require occasional repair like welding, repainting, re-aligning the gate, and more. Gates and fences repairs and installations, Same Day service. We are proud to serve the Silicon Valley and surrounding cities for the last 18 years, we are family owned company and we are committed to our customers. All Fence Company, Inc. has been serving the needs of the San Francisco Bay Area Peninsula for over 38 years. Whether your job is large or small, commercial or residential, we have solutions to meet all projects. We are insured, licensed and bonded, with over 15 radio-dispatched trucks for quick reliable service. We are proud to be a part of the San Mateo County Better Business Bureau and have an A+ rating with the Better Business Bureau. C & J Fencing is committed to providing outstanding service, products and product knowledge to the greater Contra Costa, Alameda, and Santa Clara Counties. With over 50 years of experience in the construction industry, C & J Fencing is qualified for any project you may have in mind. Bay Area Gate Masters is a mobile automatic gate repair and installation service. Together with us you will get immediate response for commercial and residential properties in the bay area. Reuben Borg Fence has been providing homeowners and businesses with personalized attention, professional quality, value pricing, and guaranteed satisfaction since 1998. We are a family owned and operated business only employing our full-time fence contractors and builders. 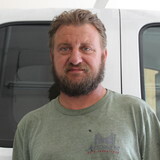 Reuben Borg, owner of Reuben Borg Fence, is on-site each day ensuring your fence is completed on-time and meets his personal standards of excellence. With Fencing is family run business providing a full range of fencing and decking solutions to San Francisco and the Peninsula since 1960. We have built our business on referrals and generations of customers by consistently delivering high quality work at good value to families and companies large and small, while always maintaining a With family crew on each and every job site. Ergeon Inc is a professional and licensed fencing and landscaping contractor (License number #1040925, C13 and C27), servicing the Bay Area and Sacramento. Ergeon is a BBB accredited business, the winner of Home Advisor’s Best of 2018 Award and a member of the American Fence Association. We are a trusted provider of wooden fence, gates, driveway, patio and walkway installation. We deliver a professional end to end experience starting with a 48-hour turnaround time for quotes, responsive customer specialists, and high quality end-products built by installers with 10+ years of experience. As a result, rather than the typical 4-8 weeks wait for a project installation, we deliver a project 2-3 weeks after booking. Ergeon is the smart and safe choice for your outdoor home improvement projects. Life Saver Pool Fence of San Jose, California is a family owned and operated pool safety firm that is committed to reducing the number of drowning incidents throughout Northern California. Life Saver Pool Fence has been protecting children in California for over 25 years. In that time, we have built a reputation for superior quality and excellent service. Life Saver Pool Fence is partnered with the US Consumer Product Safety Commission and has been selected to be a Campaign Safety Leader for their Pool Safely educational program. Life Saver is the only pool safety fence brand to have this prestigious honor. With over 35 years of experience in the remodeling industry, the team at JMitchellBuilding provides their customers throughout the Bay Area with fast and efficient results. We specialize in full remodels, additions, kitchen remodels, decking and fencing. With many location through out California , our San Jose location Mills their own redwood, customers will receive a clean, fresh, thicker product than any other competitors out there. We offer a variety of corbel and picket cuts and build custom gates. Whether you need to secure your yard or just add some decorative flair to your landscape, fences are an integral part of a home’s exterior and curb appeal. Given their security and aesthetic importance, they need to be designed, installed and repaired correctly — luckily, fence contractors in Mountain View, CA can help. From devising custom fence designs to general fence repair and maintenance, these pros will have your fencing looking fancy in no time! Your Mountain View, CA fence installation and repair professional will work with you to create your ideal fence. Find a fence contractor in Mountain View, CA on Houzz. Narrow your search in the Professionals section of the website to Mountain View, CA fence contractors. You can also look through Mountain View, CA photos to find examples of fencing and gates that you like, then contact the professional who worked on them.